Thus do I pass one phase and enter the next. "To the dead of the Indian armies who fell honoured in France and Flanders Mesopotamia and Persia East Africa Gallipoli and elsewhere in the near and the far-east and in sacred memory also of those whose names are recorded and who fell in India or the north-west frontier and during the Third Afgan War." The walls of the Gate bear the names of the soldiers and under it has been burning the Amar Jawan Jyoti (the eternal soldier's flame, not visible in this picture) since 1971. Also the Republic Day (26th of January) function starts from the India Gate with the Prime minister paying a tribute to the martyred soldiers. excellent pictures. did u take them urself? u have a good head for colors & lighting. what camera do u use? Thank you Aniket. Yes, I did take these pictures myself. I use a Canon EOS 300D. Great image. 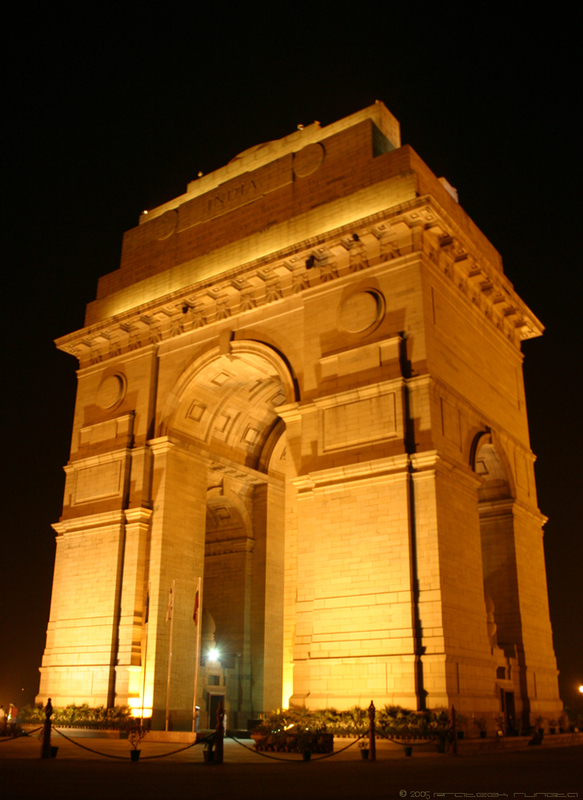 I happened to take a picture of India Gate sometime back. You can find it here. Keep the pics rolling. That's powerful stuff. Thanks for sharing it. Hey prateek,Great work.I mean not all of get to see n know abt it even though anyone lives there...This sight of pic was simply gr8.I hope u drop in more pics keepin our eyes amazed..& yes ur catch wid snaps r very nice...I mean u got the rite focus there guy. hey! awesome pic! i mean it takes talent to do stuff like this n u've got it! work it n keep clicking! the rest are really gd too, nice to have that personal touch to it all. You are that good Ricky, I did'nt know. Keep it up !!!!!! Now that's the inspiration I'm looking for from you people, Uma Mausi.